Asia’s largest Exhibition on Photo and Video Industry Kicks off in National Capital! New Delhi: As August 19 will be observed as World Photo Day. 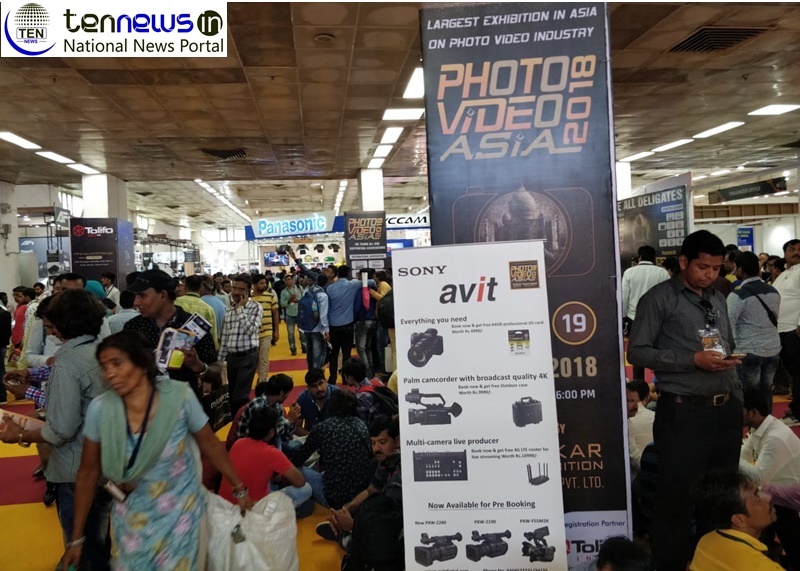 The largest Exhibition in Asia on Photo and Video Industry opened in National Capital today.The event is held over three days from 17-19 August, 2018 at Pragati Maidan, New Delhi. The Photo Video Asia 2018 event is organized specially for the photographers, videographers and also a great platform for ministries, government agencies etc. which focuses exclusively on the photo and video industries. The exhibitions at Photo Video Asia 2018 also act as a comprehensive resource for the industry, its members, prospective business visitors and customers by providing in-depth information the latest trends,technology influencing its progress. Key suspect in rationalist Narendra Dabholkar’s shooting arrested by CBI.